Culottes have been around for a while, but the biggest confusion that arises in our minds is how to style them. This clothing item was essentially worn by men in the early times. But with time, fashion has evolved enormously and here we are, eagerly wanting to try this trend! 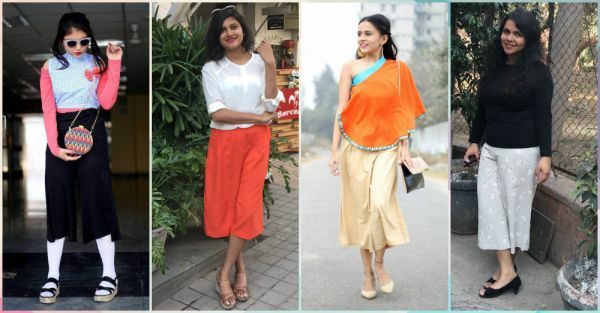 So here, we’ve put together some easy and simple ways in which you can team up your favorite pair of culottes with a simple top or a shirt and make the whole ensemble look fashionable but super comfortable. 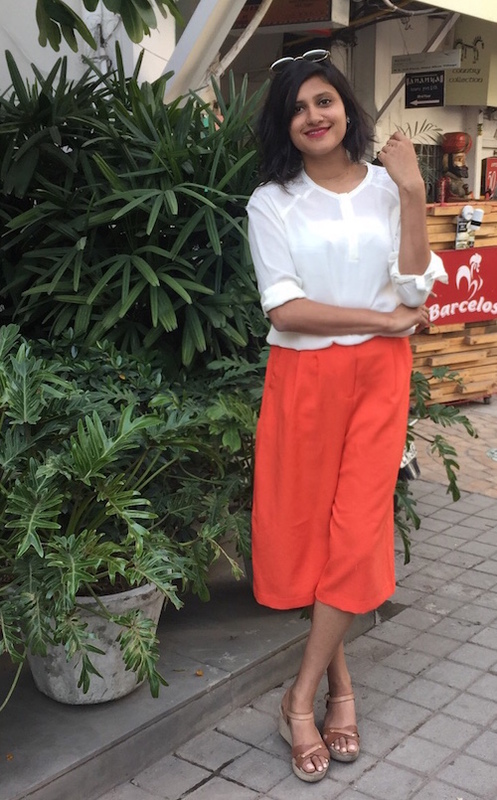 Komal Pandey, Video Coordinator Komal shows us how to wear these beige culottes with the very decorative one-shoulder top! Those gorgeous earrings and that bag are enhancing the whole look. Those beige flats are making the orange on top pop out even more. We love the shiny details which reflect in the glow on her face too. :) Also read: How To Style Indian Wear To Work: Top Tips From Team POPxo! 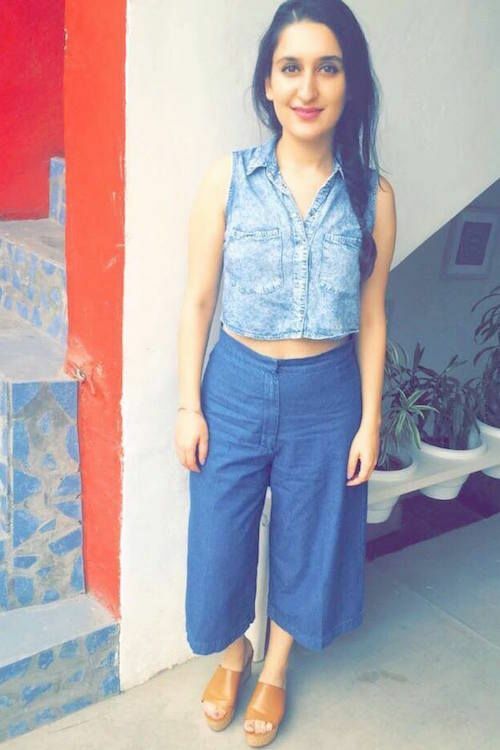 Anusha Raheja, Senior Social Media Manager Anusha loves this style a little too much! She has many different colored culottes, which she substitutes with her regular pants on most days! We love the classic combination of black and greys. Those tiny white flowers on the culottes make this one very pretty too! Also read: What Are The BEST Jeans Brands? Team POPxo Reveals Their Favs! 3. The Checks & Layers! Cherry Jain, Video Coordinator Cherry is seen experimenting with these trendy lowers this season! She wears them with long socks and flatforms and on the bodice, she is wearing layers of tops to give it that dramatic effect. We definitely would like to take some inspiration and try this adorable look! Also read: The MOST Stylish Sunglasses? Team POPxo Reveals Their Favs! 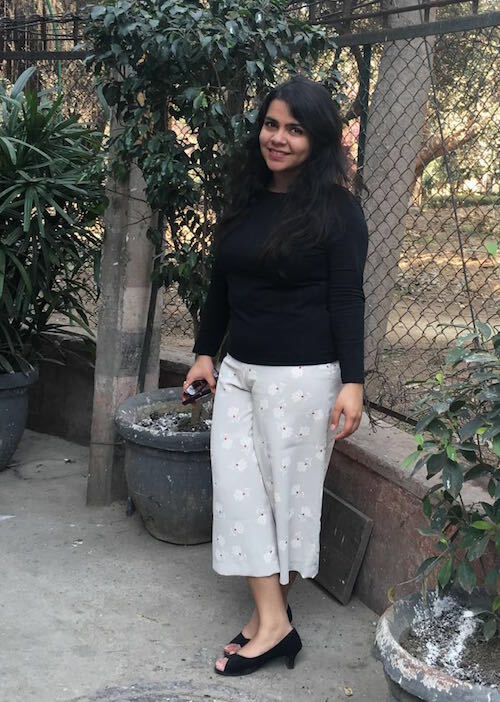 Kritika Rathi, Fashion Writer I personally love culottes because they are flowy and super comfy. I’ve paired my bright orange culottes with an white, laced top and have finished the look with some tan wedges. This neat look is a winner at work and looks very trendy too! Also read: 7 Ways To Style Your Leggings For A Not-So-Basic Look! 5. The Crop Game On! 6. The Color Blocking High! Tanaya Seth, Editorial Coordinator Tanaya looks like a happy soul wearing this vivid colored ensemble. 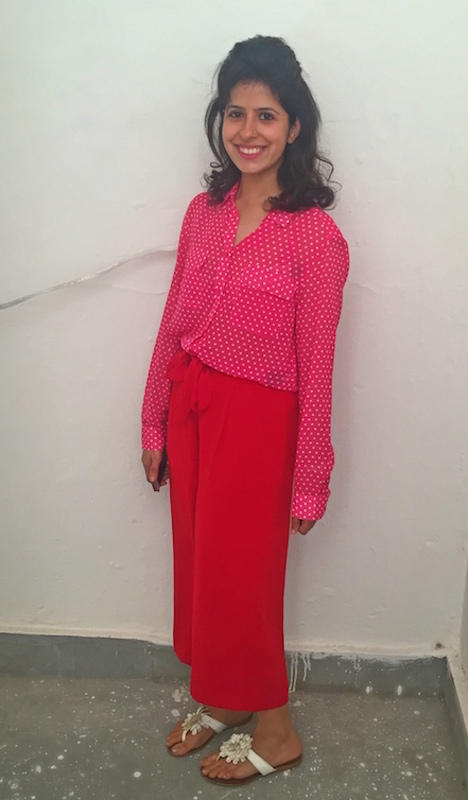 She’s wearing a blazing pink polka-dotted shirt with these flowy culottes in red, and she’s got this cutesy pair of slip-ons! Who wouldn’t love to look so vibrant on dull days? We’re never tired of color-blocking, right? Also read: 9 FAB Colour Combinations – To Make The Most Of YOUR Wardrobe! HAVE A STORY IDEA FOR POPxo? If you want to hear about it, we can write about it! Just tell us your idea here!